HiTi Hi-Touch P720L was designed to maximize your photofinishing profits by increasing uptime, shortening printing time, and providing multi-applications. 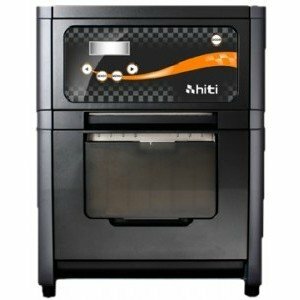 HiTi Hi-Touch P720L is recommended to use with HiTi Picvite Suite, which is easy and with less investment to create your highly scalable and profitable photofinishing business. By 1000-print capacity design, HiTi P720L is much less often in changing media, and gives more selling time. Also, high capacity roll reduces staff interruption. Roll-fed mechanism design with HiTi outstanding printing technology gets 4”x6” (10x15cm) prints within 7.9 seconds (Under the conditions of HiTi laboratory testing). HiTi Picvite Suite consists of Picvite Kiosk (express) and Picvite Minilab (express) built with friendly user interface creating memorable printing experience for both retail customers and studio owners. HiTi Picvite Kiosk (express) provides a platform for front-end operation where it takes the most photofinishing orders, and a fully functional administration system for back-end management. To increase working efficiency at photo shops, HiTi Picvite Minilab (Express) offers powerful tools for shop owners to efficiently handle mass print orders, quickly process digital images, and real time monitor printer status. HiTi Color Technology offers two color preferences for different printout request. HiTi Passport Photo Color produces superior skin tones in portrait; HiTi Classic Color provides brilliant life-like true color reproduction for your digital images.